You can change the phone number initially assigned to your Auto Attendant or Hunt Group from the My Account Portal. When you first setup these services, the phone number typically assigned is the main telephone number of your business however, you can assign any phone number in your Site or block of phone numbers. How do I assign a different phone number to my Auto Attendant or Hunt Group? A. How do I assign a different phone number to my Auto Attendant or Hunt Group? Click the My Site tab in the upper-right of the window then, select the name of your site. 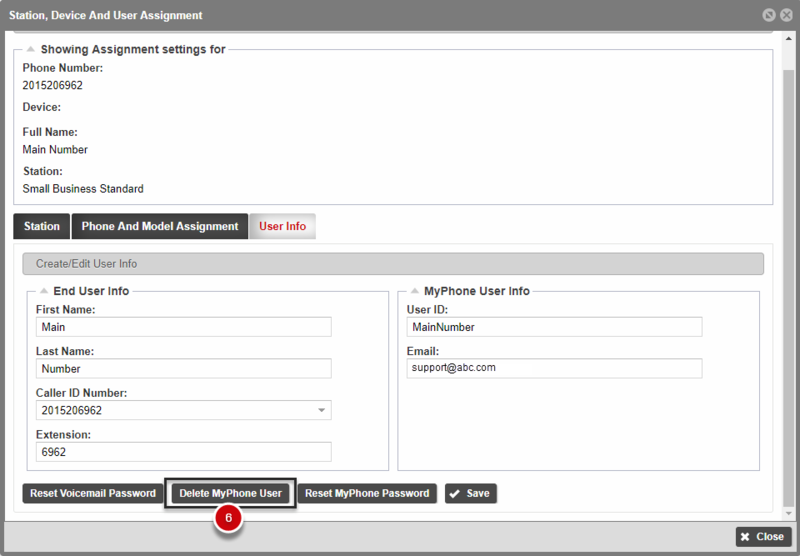 From the dashboard, select the Phone Assignment tab. 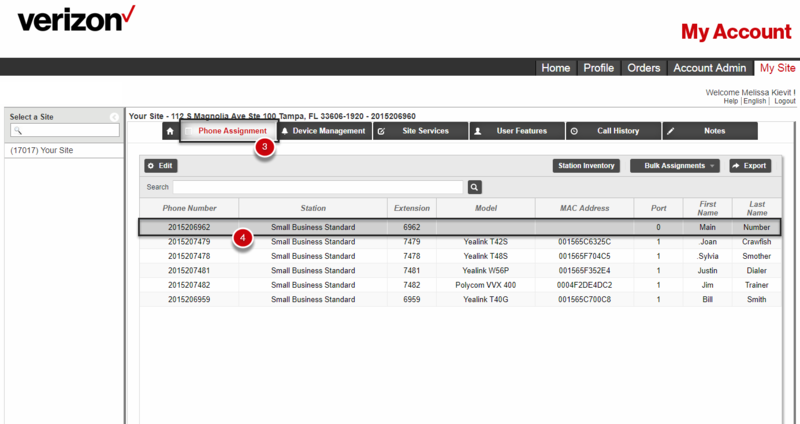 Find the phone number assigned to your Auto Attendant or Hunt Group in the list of numbers. Double-click to edit it. Click the User Info tab and scroll to the bottom of the window. Click the Delete My Phone User button. 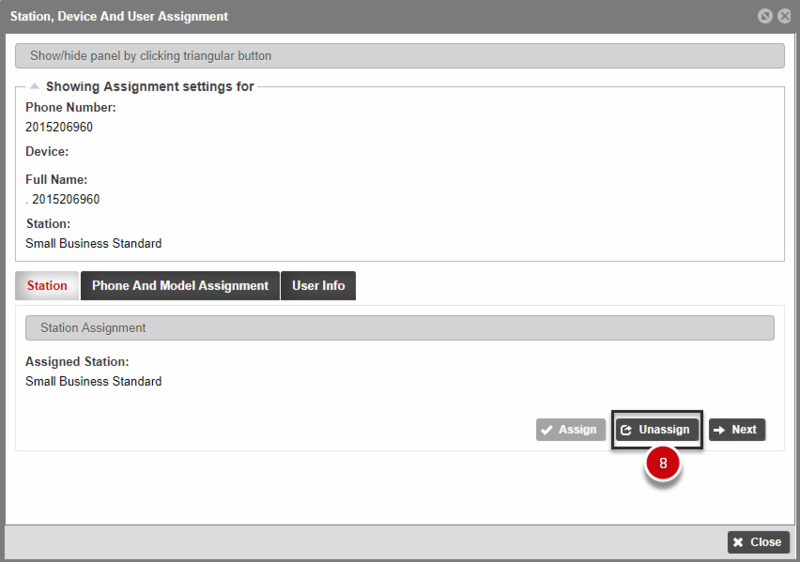 Click the Phone and Model Assignment tab in the middle of the window and click the Unassign button. Finally, click the Station tab and click the Unassign button. This action has freed this number so it can be reassigned to your Auto Attendant or Hunt Group. Click on the Site Services tab. Select the Lead Numbers service from the menu on the left. Select the Auto Attendant or Hunt Group service from the menu on the left. Select the Auto Attendant or the Hunt Group and click the Unassign button. Use the dropdown and select the new phone number from the available list. Click anywhere outside the window to save. You’ve now assigned the new phone number to this service.